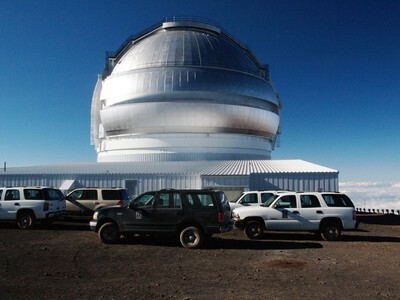 All the cool astronomers park their vehicles in front of the Gemini Northern Telescope. Actually, the astronomers don't work from the mountain top. They work from HQ or now even from their home institutions.